The instructions below are for invididuals who want to volunteer. If you're from an organization that needs help from volunteers, click here! We're so glad you're interested in signing up to volunteer! Comfortable getting started on your own? Awesome! Visit Volunteer Lebanon and click the red "Sign up" button in the top right. Once you're signed up, you can explore volunteer opportunities and sign up for different projects. Thanks for joining us! Need a bit more guidance, or not ready to sign up until you pick a project? No problem! Just follow the steps below to get started. 1. 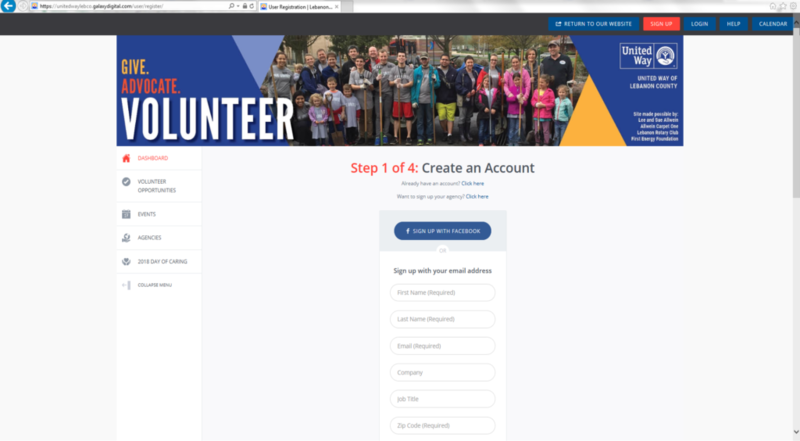 Visit the Volunteer Lebanon homepage and click the blue button in the middle of the page that says "Volunteer Now." 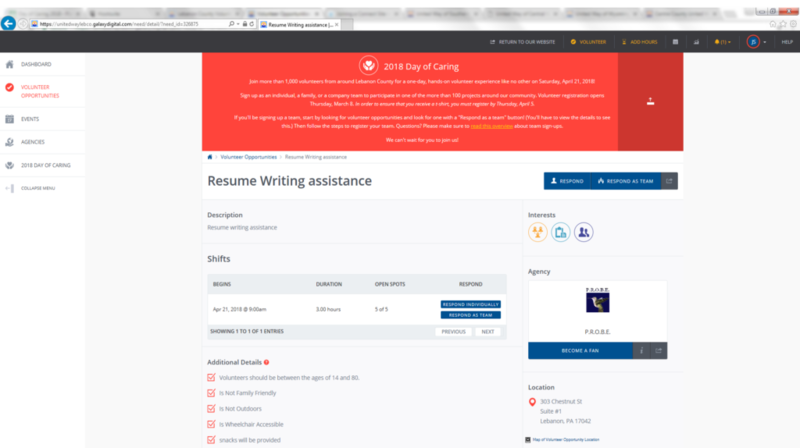 This will take you to the list of volunteer opportunities currently available - and you'll see something like the image below. 2. Click on whatever sounds interesting to read more and learn about that opportunity! You'll notice that each opportunity has a number in the top right. That represents the number of volunteer slots still available. Just click "View details" to learn more about this opportunity or to sign up. Here's what it looks like when you're learning more about a Volunteer Opportunity. 4. 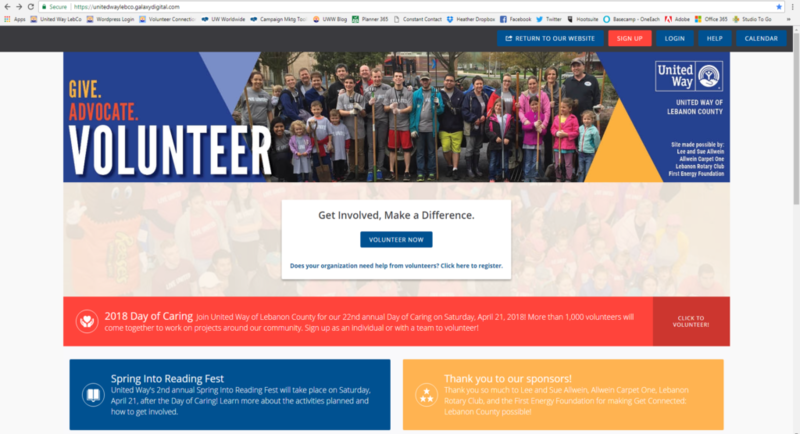 Since you're new to Volunteer Lebanon, you'll want to click the blue button that says "Haven't signed up yet? Click here." It'll take you to the first of a 4-step registration process to create your account. 5. Enter your information, create a password, and then click the button at the bottom that says "Create your account." Next up is choosing your Causes (things you're passionate about). 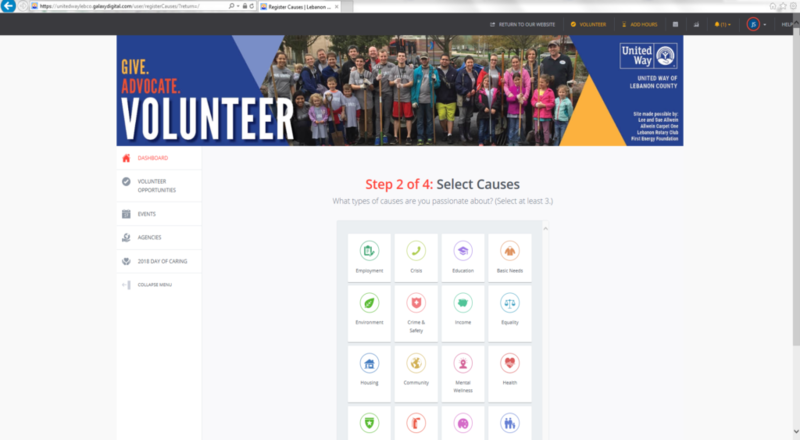 This will help the system match you with volunteer opportunities that are a good fit! 6. After that, you'll select your Interests. These are different from Causes because they represent the ways you'd like to help, or the talents and skills you have. Maybe you're passionate about Education and the Environment, so you selected those on Causes. And maybe you're interested in getting involved with those causes by providing Mentoring, Food Prep, or In-Kind work. You'd select those as your Interests. Again, the system will use this information to help match you to Volunteer Opportunities that would be a good fit for you. 7. Once you've made it to step 4, it means you're officially signed up on Volunteer Lebanon! However, you are not yet signed up for a project. Just a little more! 8. 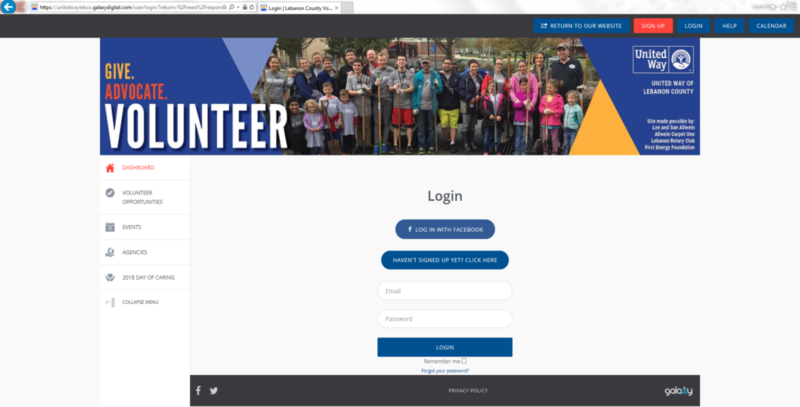 Click "Continue" and it'll take you to straight back to the Volunteer Opportunity you had found! 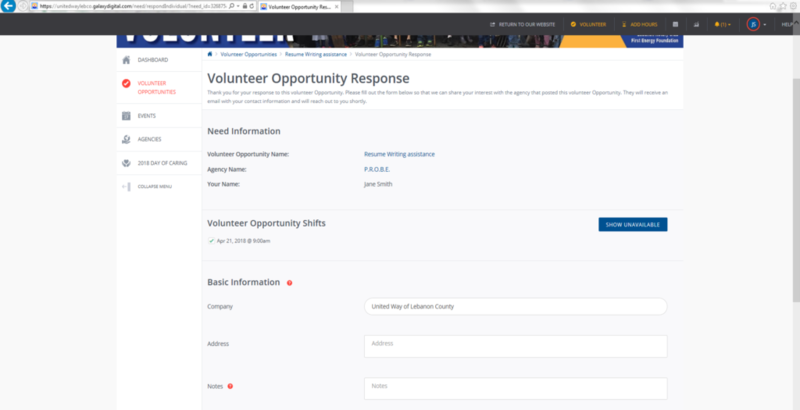 Just fill in any missing fields and click "Submit your volunteer opportunity response" at the bottom of the page. Once you've done that, you're all signed up! We encourage you to explore the site! Look around a little and learn about local agencies. You can even "become a fan" of agencies you're interested in, and Volunteer Lebanon will send you automatic email updates when those agencies post new opportunities or events! The best part is that Volunteer Lebanon is now a resource that our community can use year-round! 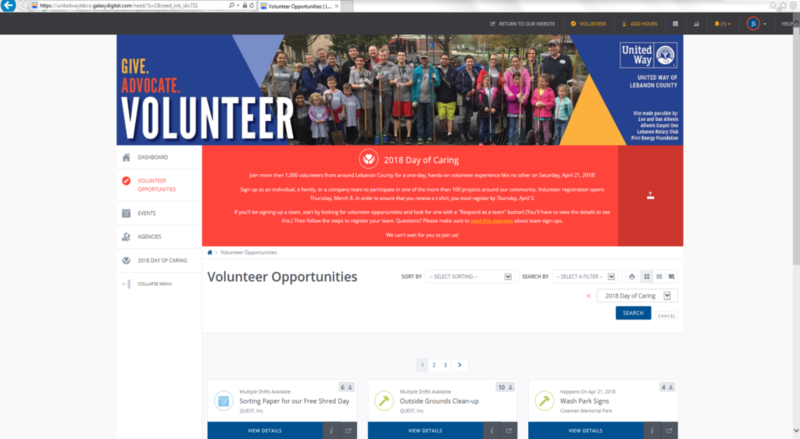 It will help groups and individuals find opportunities to volunteer, and help organizations get the word out about their needs. Please share the site with your friends and family! Having the support of our community is what will make this exciting new volunteer hub work! Thank you again for signing up to participate!